Most of us just worry about the taste of the food we are eating. Is it well spiced? Does it have enough salt? But for people with allergies, every meal is a potential obstacle course of what to eat, not eat or sample with caution. Food allergies are not uncommon. It is often seen in children, many of whom outgrow it. But allergies can be just as much of a problem for adults and the dietary and even lifestyle changes that follow can be a bother. Remember that allergens are not only in foods. More commonly allergens are in the environment and when airborne, it can be inhaled and trigger an allergic reaction. However, food allergies are more likely to trigger a severe allergic reaction than airborne allergens. An allergy is a reaction of your body’s immune system. Your immune system is supposed to react to an danger, be it biological or chemical. But with an allergy, your immune system reacts to substances that are otherwise harmless. With a food allergy, these harmless substances known as allergens are the foods that you may eat. When you eat any food, the chemicals in it first make contact with the lining of your mouth and lips. It instantly signals your immune system and the whole cascade of processes that are the hallmark of an allergy begin. Some people do not have as severe food allergies so the reaction may only start minutes to hours after eating an allergenic food. Why do people have food allergies? The exact reason why some people have allergies and others do not is not clearly understood. It appears to be closely linked to genetics but not always. In other words, even if your parents or siblings have a food allergy it does not mean that you will definitely have these allergies. What does happen in the body is that the immune system is “programmed” the first time you are exposed to an allergen. Upon the next exposure, the immune system will almost instantly react to the food. Immune cells are mobilized, certain immune chemicals are secreted and inflammation ensues. This is actually a normal protective mechanism but only if a dangerous microbe or toxic chemical enters your body. Different people with food allergies may react differently when exposed to allergenic foods. For some the symptoms can be so mild that it is barely noticeable. For others the symptoms can be severe enough and life threatening to need emergency medical attention. Firstly, there are three allergic conditions that may be aggravated with eating these foods – allergic asthma, allergic rhinitis (hay fever) and atopic dermatitis. The symptoms of these conditions may start up or worsen within minutes or hours after consuming a problem food. Some only react to inhaled allergens. But even if you do not have any of these allergic conditions, you may still have a food allergy and experience symptoms. It is sometimes difficult to differentiate between food allergies and other medical conditions. Here is a list of common food allergies in both children and adults. Many people confuse a food allergy and food intolerance. It is important to understand the difference between these conditions. Peanut allergy is common. But it is not only the peanut butter that you have to worry about. Peanuts are used as an ingredient in a number of different foods and small amounts may be present in foods that otherwise do not taste nutty. Some people are so allergic to peanuts that even minute trace amounts can be a problem. They will be unable to eat foods that are made in the same manufacturing facilities that uses peanuts in other foods. It may not only be peanuts that are problem. Allergies to other nuts are not uncommon. 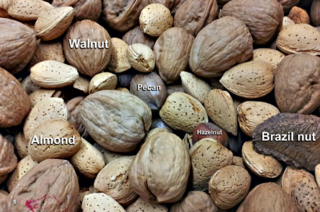 Common tree nuts includes almonds, Brazil nuts, cashews, chestnuts, coconut, hazelnut, pecan nuts, pistachio and walnuts. Speak to dietitian for a complete list of tree nuts and read the packaging of foods very carefully. Cow’s milk is another common allergenic food. Drinking milk may not be the only problem if you have a dairy allergy. Even foods made with milk will be a trigger. This includes cheese, ice cream and yogurt. The problem is typically worse in infants and parents should avoid feeding cow’s milk to children under 6 months of age. Even some baby formula can be a problem and in these cases soy-based baby formula may have to be used. Fortunately most children outgrow a dairy allergy in time. But it can be difficult for parents since milk is such a widely used food item. However, food manufacturers are careful these days and regulations means that the ingredients have to be listed. 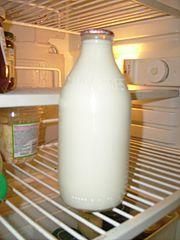 If milk has been used in any non-dairy food it should be clearly labeled as ‘milk’, ‘dairy’ or ‘caesin’ on the packaging. 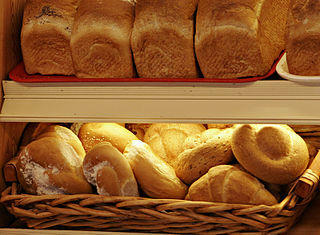 Avoiding wheat if you have a wheat allergy it is not as simple as staying away from the breads and pastas. Wheat is widely used in many foods and can be present in otherwise not so obvious foods. It is used in beer, cereals, some deli meats and may even be present in a number of other foods from snack bars to salad dressing. The focus on wheat allergy and related conditions to the wheat protein, gluten, is sometimes confusing. Celiac disease for example, may not present with the typical allergy symptoms. However, the general approach to these wheat and gluten-related conditions is the same – avoid wheat be it in semi-processed or processed foods. Eggs are another common allergenic food, especially for children. It is not just about avoiding eggs for breakfast. Even foods containing small amounts of eggs are a problem. 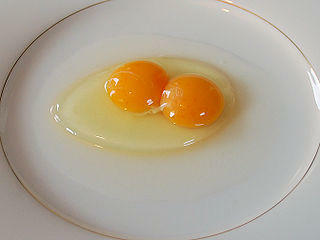 Some may argue that egg yolk is more of a problem than the ‘whites’ (albumin) or vice versa. But if you have an egg allergy then it is best that you avoid any part of an egg and all foods containing it altogether. Eggs are used for its binding and flavoring properties in a range of foods such as cakes, cookies, puddings, pies, noodles and mayonnaise. Remember that even consuming foods prepared in the same kitchen or facility where eggs are used can be a problem particularly if cooking utensils are shared between egg-containing and egg-free foods. Soy is another common allergenic food. It was previously thought to be food that is much less allergenic than dairy and many people continue to believe this. But it is not true. Soy is among the five most common allergic foods. It is an allergy that is more common in children than adults. With infants this means that soy-based baby formula is not an option. But soy is now so widely used in a range of different foods. Tofu, soy milk and soy sauce are obvious candidates that should be avoided altogether. However, soy is widely used for a number of different reasons in various foods and will not necessarily have the distinct soy taste. Read the packaging carefully. Shellfish allergies are widely known these days. And you can suddenly develop an allergy to shellfish in adulthood even if you ate these foods all your life. Unfortunately this is one type of allergy that does not go away after a certain period of time. Shellfish allergies can be very serious. It can even trigger an anaphylactic reaction, which is very serious and can kill you. But this may not mean that you can eat other types of seafoods. 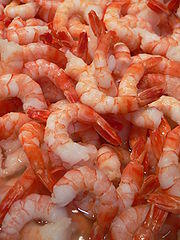 It is also possible to have an allergy to fish and it can be just as severe as with shellfish. Whether it is cooked like fried fish or uncooked like in sushi and sashimi does not matter – you will still react if you have the allergy. 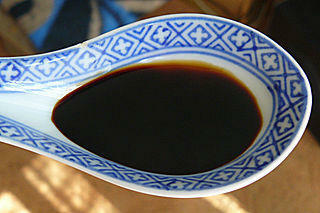 Be careful about certain condiments in Asian cooking – some sauces and stocks may have fish and shellfish in it. It may not always be named as obviously as fish sauce so read the label carefully. There are number of different food additives can be a problem – from preservatives, to flavoring and coloring agents. Over the years, much attention has been focused on certain food additives that tend to be a problem like monosodium glutamate (MSG), sulfur dioxide (not widely used these days) and tartrazine. But there is a host of other additives that can be a problem even when used in small amounts. Some of these food additives can be a problem even if you are not allergic to it. In small amounts it may be safe but in very large doses it can be somewhat toxic to even a person without allergies. It may not kill you but can trigger a range of symptoms.